When Donald Trump came to the office in the United States of America, he determined to eliminate terror groups that threaten the national security of his homeland. The Al-Qaeda in the Arabian Peninsula [AQAP] is on top of such threats and that is why the new administration escalated its operations in Yemen in rapid and rugged manner. Combating the AQAP and the expansion of Iran and rebuilding USA relations with the GCC states represent the key objectives for the new USA administration. Therefore, we saw an increase of USA support for operations of the Arab-led Coalition against the Houthis. At the moment, the USA depends on intelligence from the UAE after the former shut down its embassy in Sanaá in February 2015. The two countries even coordinate together land operations in Yemen. However, this could create conflict of priorities as Abu Dhabi had been determined to achieve other objectives related to the power and wealth in southern governorates where the AQAP is largely present as well as combating political Islamist groups. The first 100-day assessment report of the Trump administration in Yemen demonstrates indicators of US changes in Yemen that parallel with entire period of Obama’s rule. The US attack against a village in central Yemen and the killing of dozens of civilians with no objectives achieved, marks clearly initial failure of what Trump wants to do in Yemen. The activities of the first 100 days reveal back coordination between the Americans and intelligence apparatuses that still loyal to the former president of Yemen or the Houthis, to materialize the US objectives in the country. Since the United States began its intervention to counter terrorist organizations in Yemen, the former Yemeni regime has been trying to exploit US concerns, during the terms of former presidents George W. Bush and Barack Obama, to get training for the elite forces, under his son’s leadership, in addition to financial resources that eventually went to a network of beneficiaries. The country did not experience a real war against al-Qaeda until after the Popular Youth Revolution, but that war markedly receded after the Houthis advanced towards the Yemeni capital, Sana'a. The expansion of the Houthis in the Shafa'i areas gave the organization a new popularity and helped its elements in fighting against the Houthis. The mistakes of the Yemeni government and the United States also helped in increasing AQAP’s popularity, especially after US attempts to consider the Houthis as a party to help them in the fighting against the organization. This prompted Al-Qaeda to benefit from some people who are angry with the Houthis- in the absence of the state to face the common danger. New US President Donald Trump was sworn in on January 20, 2017. The first military action against al-Qaeda in Yemen was via an air-and-ground attack that targeted- according the US novel - al-Qaeda gathering in the village of Yakla in Al-Bayda governorate on January 28, during which about 25 civilians, half of them children, and one US soldier were killed. The operation suggests that the new American vision in Yemen is different from previous ones as demonstrated in the first 100 days of the Trump era. Donald Trump was not clear about his policy in Yemen during his election campaign. He mentioned Yemen only twice(). He neither talked about Yemen and the threats in the troubled country. He was talking about Saudi Arabia and its concerns about Iran, and Riyadh’s funding for the war costs. However, most Western analysts and even Western officials look at Yemen as an important indicator of the policies of the “populist” man who came to power. This is what already happened in Yemen. Yemen is strategically out of the circle of strong interest of Moscow – the opposite of Syria, the Crimea and Greece - and the penetration of Tehran into the policies of the country makes it difficult to increase for several reasons, including the geographical distance and other criteria linked to the social and tribal nature of the Houthis and Yemenis, unlike Syria where Moscow and Tehran are fully involved in the country’s affairs. Confronting Iran. Yemen is a strategic axis in the Iranian plan to pressure on the Gulf States. Yemen does not cost them money or arms like Syria and Iraq. At the same time, Yemen gives Iran good results in terms of its dominance. In order to stop this Iranian expansion along the international shipping corridors, Yemen would be an appropriate place for United States to prove the confrontation of Iran. Supporting the Saudi-led Arab Coalition in Yemen would be a rebirth of Washington's traditional old alliances. Yemen is the backyard of the Arabian Peninsula. By creating fruitful cooperation between the United States and the Gulf Arab states, Trump administration believes that Yemen will help in destroying al-Qaeda in the Arabian Peninsula more easily with lower costs than in other countries where AQAP exists. Twenty percent of the world trade passes through the Bab al-Mandab Strait. The strait is very important for the European Union countries as their trade and oil tankers cross the strait, so closing or stumbling the strait will lead to enormous economic risks for those countries and their people. This fact will be a motive to support Trump’s orientation in Yemen. The re-establishment of stability in Yemen creates international and regional optimism towards the new US administration and the files that were suspended under the administration of Barack Obama. A strong American return to the region could contribute to restoring Washington's influence, which has receded slightly in the Middle East under Obama’s administration, leading to imbalance in the Middle East and the emergence of new players who have fueled conflicts(). - Combating terrorism and attacking AQAP. - To counter Iran's influence represented by Iran-backed militias of the armed Houthi group. It targeted the organization and its strongholds in the southern governorates, and its policy was clearer towards the Houthis in Yemen than the previous policy that used to hold the stick from the middle in dealing with the Houthi group and its ally former Yemeni president. Washington relies on the United Arab Emirates to obtain intelligence as well as in its participation in military operations in light of the absence of US own intelligence folks in Yemen due to the closure of the US Embassy in Sana’a since February 2015. But this participation could be dangerous if it turns out that Abu Dhabi is exploiting Washington's dependence on it to expand its influence in Yemen in general - especially the south - which makes the American policy deviate from its designed goals in Yemen to meet the wishes of Abu Dhabi. The US Army said it had killed three members of al-Qaeda in the Arabian Peninsula (AQAP) in two strikes in central Yemen a week earlier. The US Central Command said in a statement that it killed an al-Qaeda operative in a strike on January 8, and two other militants of the group in a strike on December 29, 2016. Four al-Qaeda members were killed in a US drone raid in the southeastern of Sana’a. "US drone targeted a Toyota-Hilux car as it passed through a remote area between al-Soma’a and Mukairas in al-Bayda. 14 members of the organization were killed in a US ground attack on the village of "Yakla" in al-Bayda governorate. Two people, believed to be members of al-Qaeda, were killed in air strikes by a US drone in the central Shabwa governorate. Officials said the drone targeted a vehicle carrying two suspected al-Qaeda members in Bayhan of Shabwa. Note: There were no air strikes in February. A US aircraft raided the house of al-Qaeda leader 'AbduIlah al-Thahab in the village of Yakla in al-Bayda. The raid missed the house and caused no casualties. The United States has carried out more than 30 air strikes against the organization's sites in Yemen, while local sources said that the United States carried out two air landings, the first was in Abyan and the second was in Shabwa. But the Pentagon denied any air landing in Yemen during the two days. In one day, the United States launched more than 25 air strikes on the al-Soma’a, and seven raids on suspected militant positions in the neighboring town of Kaifa. Translation errorThere were no reports of casualties in al-Soma’a, while sources said that nine people were killed in Kaifa. AFP reported that three members of the organization were killed in these raids. In Shabwa, a US drone attacked a car carrying suspected al-Qaeda members in Al-Shuaib area in al-Saeed district, west of Ataq. The victims of the raid are Saleh Ali Nasser Atef Al-Ateeqi, Awad Mohammed Barasin Al-Ateeqi, Awad Ali Barasin Al-Ateeqi and Abu Bakr Awad Barasin Al- Ateeqi. Residents said that US forces carried out an air strike in the town of Mogan on the Arabian Sea coast, east of Abyan, south of Yemen. A raid also took place in al-Saeed valley area in Shabwa, east of Yemen, where clashes with al-Qaeda militants lasted for about half an hour. Two suspected al-Qaeda members were killed in a raid in Ahoor area, south of Abyan. The two suspected jihadists were on a motorcycle. A US aircraft launched five raids on the areas of Yashbam, Al-Mahdara and Al-Masshaa in al-Saeed district of Shabwa. It also bombed the village of Gaaer in the directorate of al-Soma’a in Al-Bayda (center) and the village of al-Ghail in Shabwa. The sources pointed out that violent explosions rocked the city of Rada’a in Al-Bayda because of the raids. The strikes also targeted the village of Yakla in al-Bayda. The American NBC TV said that Musaed al-Adani, the al-Qaeda chief in Abyan and the organization's explosives expert (it maybe means Aws al-Adani), may have been killed in a US air strike within the past 48 hours- two days before the report- according to two Pentagon officials. Residents found two charred bodies following a US raid on a moving vehicle in the Yashbum valley in al-Saeed district of Shabwa. Residents said that an air strike hit the home of an al-Qaeda suspect in the village of Nufan in al-Bayda and that another raid hit a mountainous area believed to contain a training camp in the village of Al-Saeed, southern Shabwa. Pentagon spokesman Jeff Davis said one of the former Guantánamo detainees was killed in an air strike on March 2. "We can confirm the death of former Guantanamo prisoner Yasir al-Silmi during a raid against al-Qaeda positions in Yemen," the spokesman said. A US air strike targeted al-Qaeda in the central Yemeni governorate of al-Bayda killing two children, aged 10 and 12, a local official said. The source added that the two children were killed in the raid last Sunday, while they were herding goats on a mountain road in the area of Yakla. A US aircraft launched a raid targeting al-Qaeda sites in the directorate of Mayfa’a in Shabwa, south of Yemen. An air strike targeted a person on a motorbike, suspected of being an al-Qaeda operative in the town of Al-Wadea, the hometown of Yemeni President, in the south of Abyan, local sources said. The ground attack by the US forces - supported by the elite forces of the United Arab Emirates() on the village of Yakla in the central governorate of al-Bayda, represented a turning point in the US policy in Yemen to be different from the policy of the previous administration of Barack Obama. But this military operation – that the US administration claims that it has been planned for a long time since November 2016 and it was approved in a dinner banquet rather than in the operating room() - killed civilians including 10 children and six women, along with a US soldier, and injured three other soldiers and destroyed a US aircraft worth $75 million. The operation was carried out without the knowledge of the Yemeni government, and it was considered by the Yemeni Foreign Minister Abdulmalik al-Mekhlafi as an extrajudicial killing. The Yemeni government has asked the US administration to consult and coordinate with it in any coming operations or strikes against the AQAP organization. Yemeni President AbdRabbo Mansour Hadi is an ideal partner in the fight against terrorism for the neighboring Gulf States and America. During his tenure, President Hadi fought several wars against jihadist groups in the south of the country. The intelligence exchange between President Hadi’s administration and the United States, US could target and kill senior leaders of the organization in the country that has been living in a conflict for more than three years. Observers of the Abaad Center for Studies and Researches were able to reach the targeted village in the center of the country to understand how the attack happened through interviews with some locals. The attack began early on January 29 and was followed by intensive US raids on the area amid the panic of residents of the small village of Kaifa in Radaa who believed that the bombing planes belonged to the Saudi-led Arab Coalition, supported by the legitimate government, as the Arab Coalition’s aircrafts are the only aircrafts that are allowed to fly in the Yemeni airspace. The villagers did not believe that an American offensive started to creep into their houses at night. US Apache helicopters opened fire indiscriminately at anyone who tried to get out of his house, and within an hour the population was in the middle of the hell. The American troops began the process of withdrawal when a plane MV-22 Osprey landed for the withdrawal of the attacking troops, but it failed when it suffered a sudden fault- according to the American novel, another plane intervened to transport Special Forces soldiers (American and Emirati). After the plane took off, it was destroyed by several missiles, according to local residents. Dr. Ameen Mabrouk, director of the 26 September Hospital in the area of Juba in Marib, 5 hours driving from the area of Yakla and the nearest hospital to provide care for newborns, said that the hospital received three injured from the raid - a young man was injured in his leg, a pregnant woman and a young girl. The woman, who was pregnant in her ninth month, had a bullet in her abdomen. The hospital had emergency caesarean operation but the child did not survive(). (**) Al-Baghdadi is a Saudi national. Her brother was arrested in his country and executed over charge of being linked to al-Qaeda. His sister Arwa was also detained and then she was released in return for a Saudi diplomat who was kidnapped in 2014, according to some sources. Al-Qaeda released a list of 14 people whom AQAP said that the United States targeted after it put them in the list of al-Qaeda associates, including Abdullah al-Zubah, 17 years old. According to the list of names, some names of victims are close to names of people listed in the US al-Qaeda targeted list as associates of al-Qaeda like Sheikh AbdulRaouf al-Thahab despite he appeared in videos several times denying that he has any links to al-Qaeda. So there are real fears that there is a methodological targeting of families of people accused to be members of al-Qaeda or providing facilities for al-Qaeda elements. US president in his electoral campaign allowed US forces to kill families of al-Qaeda members. The daughter of Anwar al-Awlaki (8 years) was among the victims. Anwar al-Awlaki was killed in a US raid in 2011. She was the second one of al-Awlaki’s kids to be killed after the killing of his son AbdulRahman (16 years) in October 2011, few days after killing his father. Among the victims, there were the children and wife of AbdulElah al-Thahab, who was not there during the US strike. The Unites States said that it needed to carry out a ground operation on the Yemeni territory due to the importance of intelligence that it can get from the operation(). It pointed out that the operation was planned for in November 2016 but President Barack Obama preferred to leave the approval of the operation for his successor President Donald Trump who approved the operation during a dinner banquet with commanders in the US Secretary of Defense, despite they know about its dangers and results. The locals absolutely denied that leaders of al-Qaeda or Qasem al-Raimi were exist in the village, but two locals, asking for anonymity, told Abaad Center that “Qasem al-Raimi perhaps was in the village hours before the US operation as they saw an unfamiliar four-wheel-drive vehicle in the village at midnight.” But they are not certainly sure about the presence of al-Qaeda leaders in the village. When al-Qaeda showed the list of names of victims- despite al-Qaeda did not claim that they are members of the organization- eight names on al-Qaeda list were not mentioned among names given by the locals to Abaad Center because those names were not known for the locals. The United States did not present any evidence that it got real “intelligence” about attacks on international interest in Yemen and outside Yemen. In February 2017, the Pentagon posted on its website a video of what it was said to be intelligence from the operation in Yemen, but after that it was revealed that video was dated back to ten years and that it was posted by AQAP propaganda means. This increased doubts about the fact that the United States has got intelligence from the military operation in Yemen where one US solider was killed and three others were wounded. Early in March 2017, US media outlets quoted sources in Pentagon as saying that: “Cell phones, laptops and other materials that were seized during the operation in Yemen are being analyzed, but they did not reveal any specific plans or result in any strikes against al-Qaeda extremists in Yemen or any other place.” This indicates that the United States could not, within 30 days, get any real intelligence from the seized devices, if it really seized devices. The village consists of a group of houses nearby other two small villages. It consists of 200 houses and 1000 people. Most of the victims were in the house of al-Thahab that the US troops attacked at the beginning, in addition to two neighboring houses for Abdullah al-Amiri and his son Mohamed(). The two houses that were attacked, (Al-Amiri) and (Al-Thahab), have been completely destroyed and bodies for women and children have been got out from under the ruins. It seems that devices have been buried under the ruins along with the families. It is difficult to expect that the devices have been taken from the houses amid fierce gunfire during the operation and sure it has become more difficult after the operation as the two houses have been destroyed and at least 20 neighboring houses suffered damages. Although some details about the operation are still ambiguous, President Doland Trump tries to keep away from the policy of President Obama. The new president tries to achieve a rapid victory after he took power in January 20, 2017. But this change in the administration should aim anyway to avoid victims among civilians otherwise the US administration will get nothing from operations similar to the operation on January 29 in Yakla. While the US is talking about compensations for the families of victims and Commander of the US Central Command admitted that civilians were killed in the operation and claimed responsibility, the anger of the people of Yakla increased. They rejected the compensations demanding revenge for the victims. This increases fears that such operations that target civilians create a suitable environment for violent groups and terrorists. The Yemeni government did not know about the operation and the locals say that telecommunications were suddenly cut off one hour before the military operation. The phone land lines and cell phones can be cut off only by the National Security in Sana’a that was loyal to former president Ali Abdullah Saleh and now loyal to the Houthi group that is not international recognized. This casts doubts on intelligence exchange between the Houthi group and the US forces as the US experts and intelligence men left Yemen before the beginning of the Saudi-led Arab Coalition military operations in Yemen on March 2015. While the United Arab Emirates did not confirm or deny the participation of its forces in the operation- despite indications that they did- the possibility of coordination with the Houthis is still probable, especially as the talk about Yakla operation was in November, the same month when US Secretary of State John Kerry met with Houthi delegates in the Omani capital of Muscat in unprecedented move by the US diplomacy as they never meet with armed militias in light of their recognition of the legitimate government. After the Yemeni government demanded that US coordinate with it in any coming military operation in Yemen, the US confirmed that all next operations came in coordination with the Arab Coalition and the Yemeni legitimacy represented by President Hadi. Information says that anti-terror campaign may be expanded to target other armed militias. The Houthis in Yemen maybe included, especially after they targeted ships in the international water, the campaign may also target other armed groups that a party in the coalition may desire to eliminate. The transition in the US position in Yemen is not related to the al-Qaeda confrontation only, but to the map of civil war in the country as well. Certainly, the United States looks at Yemen as a threat that it is one of its priorities, but the complexity and overlap of the situations in the country limits the US moves. - The United States sent the destroyer Cole to the Yemeni coast after the Houthis targeted a Saudi frigate “Al-Madinah” on January 30. The Houthis used a remote-controlled boat in the attack, which raised US concerns. Commander of the Fifth US Fleet in the Gulf did not rule out a military operation against the Houthis(). - The Trump administration believes that the Houthi attacks on ships in the Red Sea bring the issue out of the state of internal conflict to a regional and international framework. The group has become a threat to international waterways. Obama administration has failed to neutralize waterways from conflict. Lawmakers in the US Congress are preparing a resolution dealing with the smuggling of Iranian weapons to the Houthis. - US National Security adviser Michael Flynn, before resigning, described the Houthi group as a terrorist organization acting on behalf of Iran. "Yemen will be the first battleground in Trump’s confrontation with Iran," said Foreign Policy magazine. Fortunately, for Trump’s allies in the Gulf states, especially Saudi Arabia and the United Arab Emirates, Trump's National Security team seems to see the Houthis in the same way it sees Hezbollah. This means that the Houthi group is believed to be part of a major Iranian plan to build a strong Shiite alliance against its regional rival, Saudi Arabia()." - Trump granted the Pentagon broader powers to fight terrorism and carry out broader attacks in Yemen. A proposal was made over the collapse of a controversial bureaucratic structure set up by the Obama administration to launch deadly attacks. Therefore, the proposal to reduce measures and precautions to ensure the safety of civilians in such attacks would be binding(). - The American operation in the village of "Yakla" was an adventure and relied on inaccurate intelligence, which led to the fall of a large number of civilians in the absence of a concrete military victory against the organization. - The United States of America has shifted its policy in Yemen significantly and clearly as the country continues to be a focal point for terrorism, which is more concerned than the internal civil war. - The White House is trying to stay away from the Obama administration's policies, and the new president is trying to get a quick victory since he has come to power (January 20). But this change in the US administration must in any case aim to reduce civilian casualties, otherwise the administration will not gain anything from operations similar to the operation on January 29 in Yakla. - Ignoring the civil war in Yemen and launching an undeclared military operation in the country against al-Qaeda makes the Yemeni crisis turns from the objective of restoring the state to humanitarian targets and fighting terrorism raising concerns about the expansion of regional and international interventions in the country as in Syria. Yemen is being swept away by the widening social divide that has given al-Qaeda an opportunity to take advantage of it for its sake. - To reach a political solution to stop the militia-caused deterioration and giving the Yemeni State the exclusive right to possess heavy and medium weapons is the only way to uproot the AQAP organization - it will take time, but it is an effective way. Depending on militia movements to counter the AQAP organization makes the Yemeni state steps back to longer and bigger problems. - The restoration of the state’s security and military institutions ensures full confrontation with the organization and reaffirms the confidence of the people in the existence of the state that protects everyone and fulfills the demands of all its citizens. Without the existence of the state and restoring it, the country will remain a hotbed for wider regional interventions. 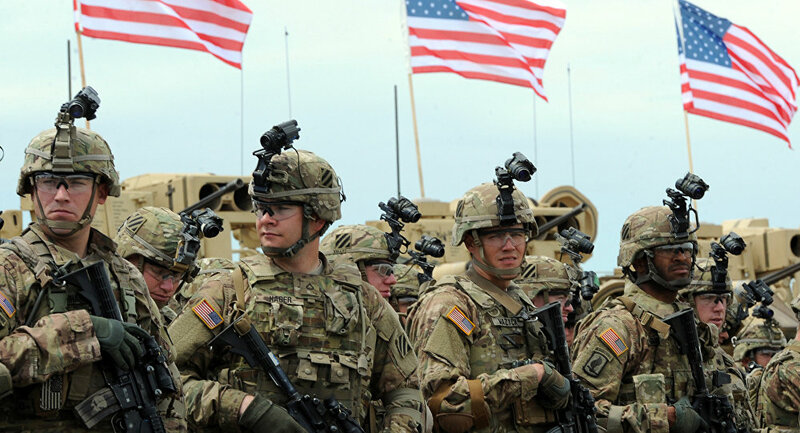 - The American policy of militarization in Yemen will aggravate the state of regional and sectarian sorting out, and its dependence on the local allies in the Arabian Gulf and the Yemeni government is the safest way to face the organization in the country. The campaigns, carried out by the Yemeni government during 2016, were strong and fruitful. They targeted the organization and removed it from major cities. The remnants of the organization have been hunted in remote villages and towns. - The Yemeni government should expedite the confrontation with the Houthis, restore the state and its institutions and extend its influence, and the United States of America should move in Yemen through the legitimate government as relying on inaccurate intelligence strengthens the influence of the organization, which exploits the US mistakes in increasing the number of those joining it. The United States must remember that its best achievements, in the fight against AQAP, were achieved in Yemen during its alliance with Yemeni President AbdRabbo Mansour Hadi, while its former alliance with Ali Abdullah Saleh was barbaric and served the organization alone. - The US government ignorance about the regulations that prevent the killing of civilians increases the organization's popularity in Yemen. To have the power does not mean to use it unwisely. The battle with terrorism has been going on for 15 years, and every mistake that kills civilians increases the number of people joining the organization. The tribal norm prefers revenge rather than financial compensation. () Assessment of a state by Abaad Center, April 2017 “Confronting Houthis in Yemen, an Iranian vision”. () US drone aircraft launched in 24 air strikes in 2013 and 17 raids in 2014 and 24 air raids in 2015 and 42 air strikes in 2016. () Several US media outlets reported that the United Arab Emirates participated in the attack on the village of Yakla in al-Bayda on January 29, for example, CNN. () Several media outlets, including The New York Times, reported that US President Donald Trump had agreed to the operation at a dinner after taking office. () Human Rights Watch report.